Consumer Reports has released the results of a poll it took from motorcycle owners as part of the publication’s assessment on the value of different motorcycle brands as far as how their customers felt about the bikes they owned. Japanese motorcycle brands took in top honors in reliability, something that shouldn’t come as a surprise to anyone. Of all the brands named in the survey, Japan’s four top brands - Yamaha, Suzuki, Honda, and Kawasaki - were all head and shoulders above the rest of the field, beating out the likes of Victory and Harley-Davidson. 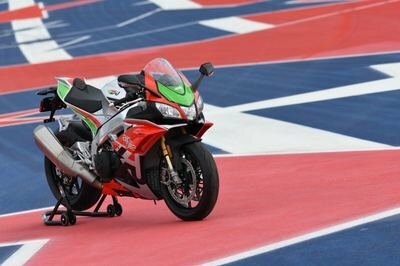 On the bottom end of the reliability list are brands like Triumph, Ducati, BMW, and Can-Am. Can-Am, in particular, finished dead last on the list, and I’m guessing that it’s recent issues may have played a big part in seeing their spot on this list. 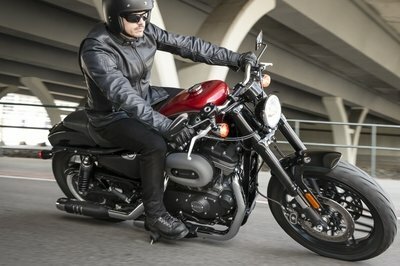 Victory Motorcycles may have ended up in the middle of the pack in the reliability survey, but as far as making customers happy with their bikes, the American brand stood victorious with 80 percent of Victory owners saying that they wouldn’t mind buying a Victory model again. Turns out, having a fairly reliable motorcycle and having positive dealer interactions and good customer service are important elements in gaining the trust of your customers. Who knew! Coming up second on that list was Harley-Davidson, which received a 72-percent approval rating, followed by Honda at 70 percent. Interestingly enough, these three brands were the only ones to get approval ratings north of 70 percent. Consumer Reports also discovered that motorcycle riders preferred “comfort” of all the things they look for in a bike. Not surprisingly, Victory scored the highest rating in this category while Ducati, Kawasaki, Suzuki, and Triumph taking up the rear in this particular category. Other satisfaction categories, including styling, fun, acceleration, and handling saw across-the-board ratings, signifying that a customer’s taste in these areas vary depending on what their requirements for a bike are. The only manufacturer that fell flat on its face in the handling category is Can-Am, adding more fuel to the growing assumption that its three-wheelers aren’t worth the money you spend to buy them. 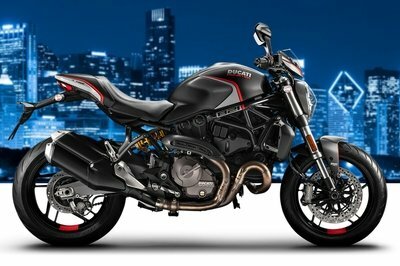 Continue reading to read more about the results of Consumer Reports’ motorcycle poll. The results of Consumer Reports’ survey revealed a few surprising results and some not-so-surprising results. First, the surprising results. Did anybody think that Victory Motorcycles would have the happiest customers? I personally didn’t see that coming because I would’ve thought that Harley-Davidson owned that corner. That’s not to say that Victory doesn’t produce nice bikes. On the contrary, it actually has an impressive number of models in its lineup. But I was always under the impression that Harley had customers that would vouch for the brand right to their graves. That said, getting a 72-percent approval rating is impressive in its own right. But I just I assumed that if you had a brand that American motorcycle owners would vouch for, it would be Harley-Davidson. Now, let’s get to the not-surprising part of the survey. Nobody was really shocked that Japan’s four bikemakers ended up on top of the reliability list. It’s a common perception in the industry that if you want to buy a bike and use it for the long haul, the first option is to go Japanese. Whether it’s Kawasaki, Honda, Suzuki, or Yamaha, if you buy a motorcycle and you have plans of riding it to the ground, these four brands, known for their safety and reliability, are the top choices on your list. Another result that didn’t raise my eyebrows was that cruisers were the top choice as far as reliability among motorcycle types are concerned with sport bikes coming in last on that list. Again, this isn’t a knock on the latter’s reliability issues, but more an indication on the purpose of these bikes when customers buy them. Customers who buy cruisers don’t buy them for their performance capabilities. These bikes are meant for joy rides and long haul trips. The segment name itself says as much. On the other hand, people who buy sports bikes buy them for their performance, which is short of saying that when somebody makes a sportsbike purchase, they do so knowing that a big reason for that purchase would be to test their bike’s performance capabilities. That opens these bikes up for the likelier possibility of breaking down at some point, thus the higher failure rates attached to them.